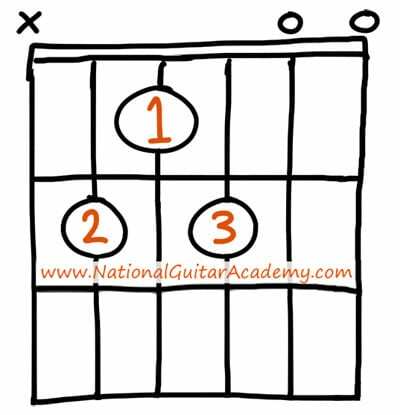 The B guitar chord is probably the hardest of all chords for beginner guitarists to play. I’ve learnt through thousands of hours of teaching that the B guitar chord is simply out of reach for beginner guitarists. We need an alternative; a different version of B that you can use as a stepping stone to develop your finger dexterity and accuracy. 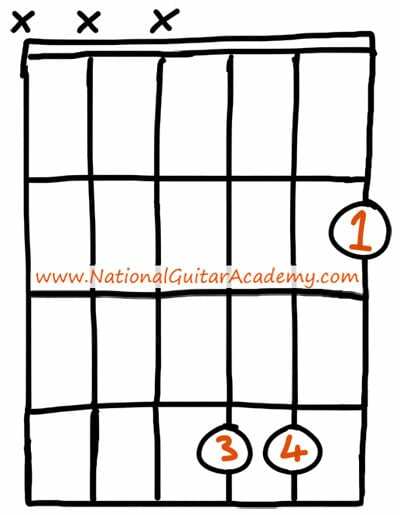 As you can see this is a much easier version of the B guitar chord, though it’s still a little tricky for total beginners because it requires 3 fingers. Stick with it! 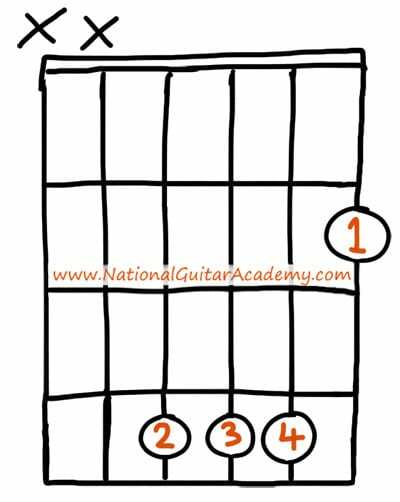 This is the best version of the B guitar chord for beginners to learn. ✓ Stop struggling. Start making music. ✓ Learn 12 beginner-friendly versions of every chord. ✓ This is our most popular guide and it will improve your chord ability quickly. 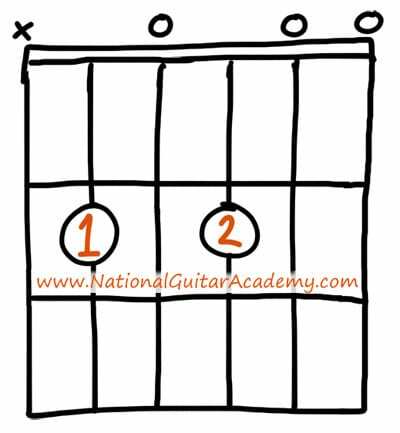 This is a great version of the B guitar chord for beginners to use. Even though it doesn’t sound as good as a full B major chord, or as strong as a B7, it does contain the all-important B root note and is a passable B chord for absolute guitar beginners. 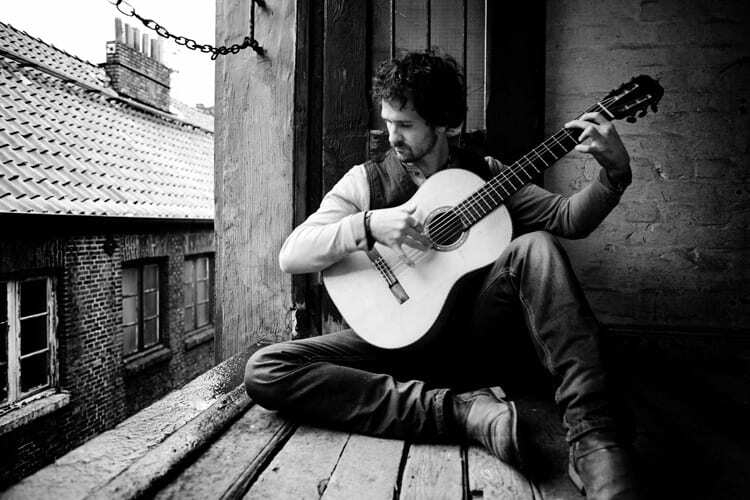 Once you have 10-15 hours of guitar playing under your belt you should look to ‘upgrade’ from Bm11 and play B7 instead. 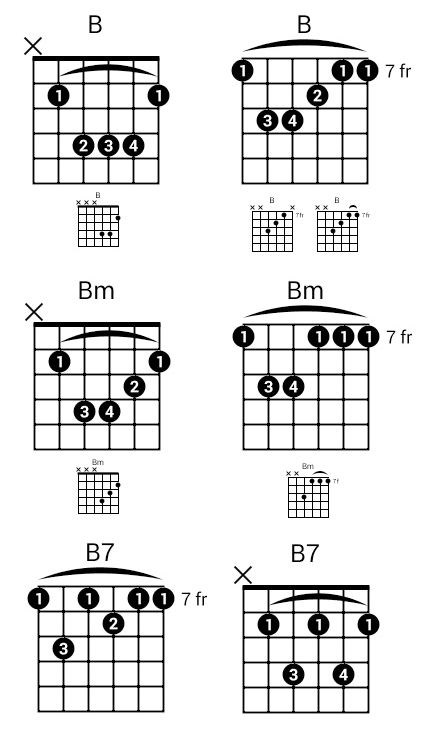 This version of the B guitar chord sounds a little thin (it’s bound to, of course, as you’re only using half of the strings), but it’s still a valid B major chord and is ideal for children’s smaller hands and adults who are struggling to play the other versions of B.
QUICKTIP: You can find a great overview of the anatomy of the guitar in this Guardian piece. This loose-sounding B guitar chord is called Bsus4 (which is short for “B suspended fourth”). It’s a wonderful chord for acoustic guitars and creates a light, free sound. Lots of barred chords here! What Type of Guitarist Are You? Want free guitar tips and video lessons delivered to your inbox? We'll send you a series of lessons that will move you to the next level of your guitar journey. Learn how everything fits together quickly, easily and effectively. We share ninja tips (for instant fun!) but also timeless fundamentals that will deepen your understanding. Join us on Facebook for daily guitar tips. Listen to our Learn Guitar Podcast for rapid guitar progress. Check out our free chord lessons. Enter your email address to learn our best guitar tips and tricks today. Free guitar lesssons sent straight to your inbox. 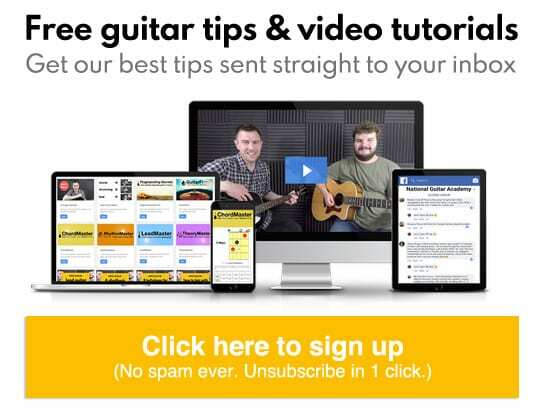 Enter your email address to learn our best guitar tips and tricks today!